Getting new customers is the backbone of any small business. You can do everything else perfectly, but if you don’t have a rock-solid plan for acquiring new customers you’d mind as well close up shop now and avoid wasting any more of your time and money. Yes, many businesses can and do, thrive on word of mouth referrals, but that shouldn’t be your sole source of leads unless you’ve formulated a measurable system of generating new prospects from past customers. Otherwise, you’ll leave the growth of your business to chance and that strategy never ends well. And if your small business is just starting out, there’ll hardly be enough past customers to ask for referrals. For this reason, new businesses should invest 50% of their time performing lead generation activities until the business has a good foundation of customers. Afterwards, you should still invest around 20% of your energy and resources towards generating a steady flow of leads. Today I’m going to cover 4 lead generation techniques that you can put to use immediately to gain new customers and sales for your business. 1) Promotional Landing Pages – Not to be confused with a website, a landing page is a one-page site designed to get visitors to take an action right now. That action could be joining your email list, downloading a free report, claiming a coupon, submitting their phone # for text updates, etc. If you could imagine having a salesperson that could present all of your business’s most important benefits with extraordinary precision, that is your promotional landing page. But instead of selling the purchase of a product, its only job is to persuade visitors to make the small commitment of submitting contact information so you can follow up with future offers. Any special promotion that you intend to run should be led by a landing page that makes a strong, irresistible offer. Turn your visitors into leads by giving away something, relative to your business, that would benefit them. Some ideas are a gift certificate, a free eBook, samples of your products (free trial), and if you’d like to build more value in your offer you can visit PLR Products for further inspiration. 2) SMS Text Lead generation – I briefly mentioned capturing phone #’s for text marketing in the previous section, but it is indeed a technique deserving of explicit attention. According to a report conducted by Dynmark, 90% of SMS text messages are read within the first 3 seconds of receipt. AND… 83% of American adults use a smartphone as their primary means of communication. With statistics like that, you have no other choice but to consider using SMS marketing as a way to generate leads for your business. The process of setting up a mobile lead generation campaign is similar to using landing pages except it will be completely set up to collect phone numbers. You’ll still deliver a great offer, but now it will be on a mobile landing page. A service like MindMeMobile makes it easy for you to set up a powerful SMS campaign that will deliver fascinating results. MindMeMobile will help you capture and build a list of leads to promote special offers, an event, coupons, or provide more details on an important announcement. Lead generation through SMS texts can dramatically grow your business with the click of a button! 3) Digital Event Marketing – Hosting an event is a remarkable technique for driving new leads into your business. Events position you as an expert in your industry, provide positive experiences for your potential customers, as well as increase exposure and improve professional connections. For lead generation purposes, events are known to identify candidates who are highly interested in your products and services. Digital events are even more beneficial as they can be run completely online with easy to use software and applications. You can host a small digital event with very little out of pocket expense or organize larger cooperative events that can be funded with sponsor partnerships. 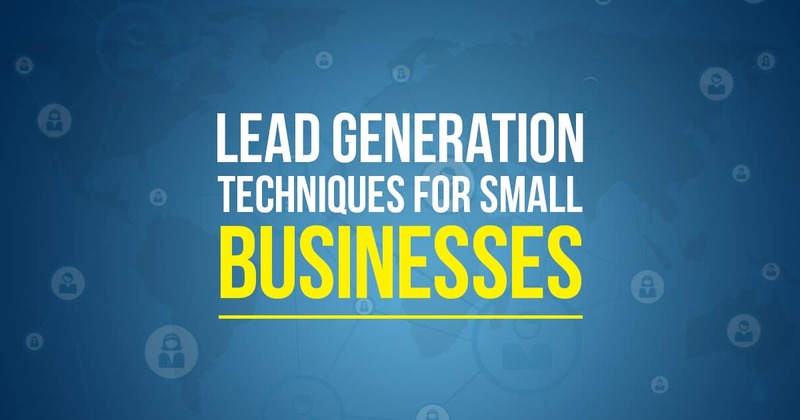 Think of how great would it be to generate new leads for your small business absolutely free. You can do exactly that with digital events. Learn how by viewing this article on Free business promotion using other people’s money. A digital event is similar to a live event, except rather than entertaining your attendees at a venue you’ll use webinars, videos, emails, social media and so on to engage your audience. And once your event is ready to be promoted you’ll have the privilege of accessing an entirely new method of free marketing by submitting it to event calendar sites. Calendar websites that showcase upcoming community events are some of the most trafficked sites by local residents. Residents are regularly searching online for the latest happenings in their area and event sites commonly have top rankings in Google, Bing, and Yahoo. By posting your digital event onto multiple event sites, you’ll receive free online promotion that will boost traffic to your landing page and generate more leads. To get you started here’s a list of high PR event submission sites with free posting. Learn more about using digital events for lead generation by downloading our eBook The Event Entrepreneur. 4) The Traditional & Digital Mix – Only after you’ve properly set up a lead generation system with landing pages, SMS texting, or a digital event are you prepared to incorporate traditional marketing methods. Business owners who neglect to construct a well-planned lead capture system prior to investing in traditional marketing set themselves up for failure. A lead system will remove those nagging thoughts of whether your newspaper ad, radio spot, billboard placements or direct mail is producing a positive return on investment. This is because any advertising you decide to invest in will be pointed directly to a landing page where all incoming visits, leads, and sales can be accounted for. The data you collect will be invaluable to the growth of your business. With you’ll avoid spending thousands of dollars on advertising that just doesn’t bring results. Or you’ll know to make some adjustments within the message of your promotion like making a better offer, rewriting your sales copy, or having a stronger call to action. Traditional marketing methods are still and will always be effective techniques for attracting customers in your local market. And with the addition of a lead generation system, you’ll be able to amplify your profits. Implementing these lead generation techniques will put your small business on the fast track to success.